The Dynatrap DT1000 Replacement UV Lights are especially designed to produce the exact UV wavelength required to maximize the catch rate for mosquitos and other flying insects. 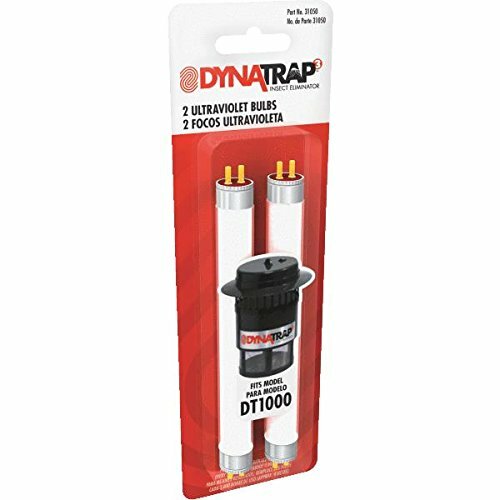 These replacement lamps fit only the Dynatrap models DT1000-110V and DT0500IN. Dynatrap features a large lineup of products to give you more mosquito-fighting options. Dynatrap products reduce the number of mosquitos, biting flies, wasps, moths, and other flying insects without the use of pesticides or chemicals. Each trap can be used indoors or outdoors, giving off no odors and keeping sound to a minimum. Comes with two 4-watt replacement UV bulbs. Designed to produce the exact UV wave length. Create a mosquito-free and comfortable patio. Bulbs are designed to last approximately 3,000 hours. Easy to install.